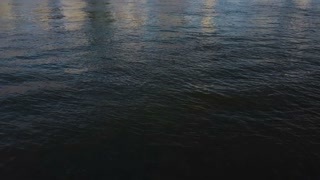 Aerial drone footage approaching a winter cabin on a river in upstate new york. 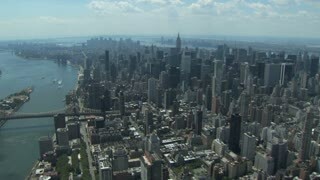 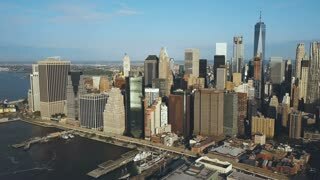 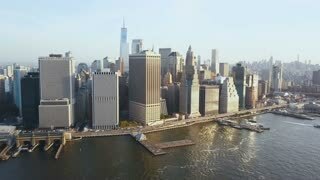 Aerial view of the Manhattan downtown on the shore of the East river. 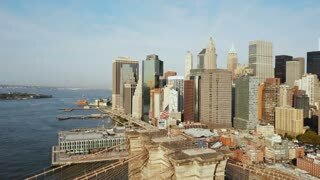 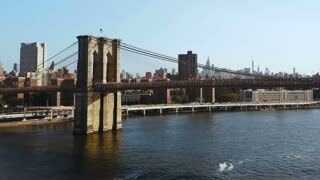 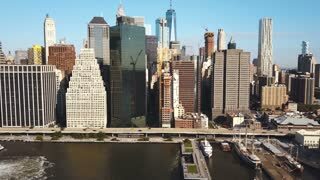 Drone flying near the pier in New York, America. 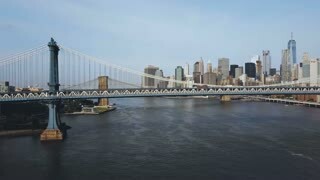 Aerial view of the Manhattan bridge through the East river. 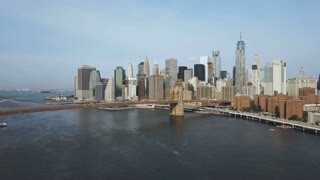 Drone flying near the road in New York, America.